Resonance installation, Museum of Cannock Chase. The 'Resonate' tour began at Cannock Chase Museum in March 2015 and has since toured to the Staffordshire County Museum, Shugborough, The Ancient High House, Stafford, and The Borough Museum in Newcasle-under-Lyme. 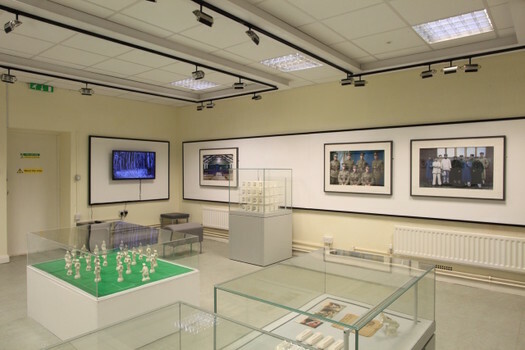 Future venues are: The Potteries Museum and Art Gallery, Hanley, December 1, 2015 to January 31, 2016, The Gladstone Museum, Longton, February 6 to 24, 2016, and The Wedgwood Museum, Barlaston, March 1 to March 31, 2016.